Jesus shared the parable of the wise and foolish builders (Matthew and Luke) because we need to weigh the cost of what we’re building and start with the proper foundation. The church today is scrambling to replicate communications from other churches. They see them spend money on something interesting, so they think they should do it too. Sometimes that works, however, if the proper foundation isn’t present, the components you’re building prove to be costly. 1. Not building an audience. I was recently lamenting the amount of political TV commercials and calculating how much each network must profit from political funds. But the opportunity to air the commercials (and make a gazillion dollars) wouldn’t be present if they didn’t build an audience before the political season. If they didn’t have the people, the campaigns wouldn’t choose them for their communications. The lesson? Build an audience for your church everyday so that when you have a particularly important message to relay, you’ll have them. SOLUTION: Pinpoint your audience, their needs and goals, and deliver them. Ensure all your communication vehicles are consistently needed, and promote them so you have as many followers as possible. On social media, try to entertain/influence/educate your audience in such a way that they want to share their experience with others on their wall. 2. Not establishing a communication thread. Your ministries need a unifier. Since everyone wants to feel unique and different, leadership wants to try new things and standout above those around them. It becomes a competition between ministry groups to see who can stand out more. The outcome? Often ministry silos start to destroy the foundation of your local church. 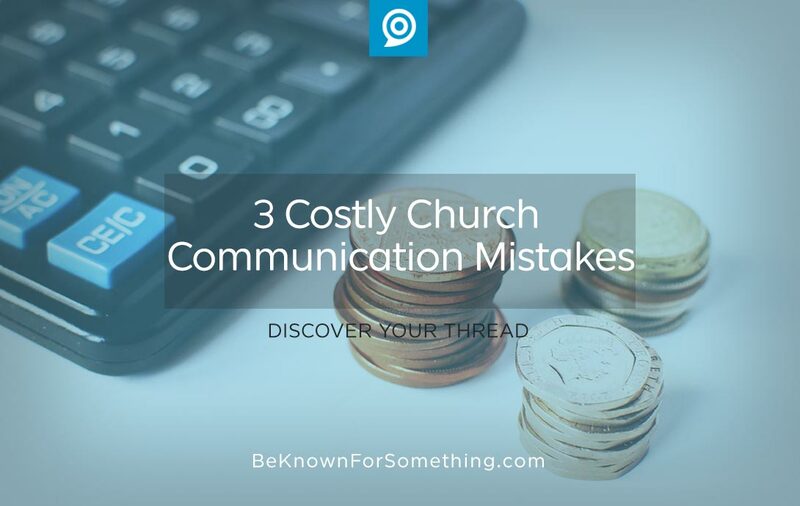 Everyone becomes known for their own brand rather than a consistent communication thread that unites your church. SOLUTION: Unify the church messaging around one benefit or goal and you’ll save money because the message reaches and resonates farther. It’ll also give you a foundation for tiering your messaging and will allow you to be known for something in your community (so you can build a bigger audience). 3. Thinking an App will solve your Issues. “All the cool churches have apps, so we need one too”. We hear this regularly. But the truth? It’ll add another tool to maintain, another communication message to push (please download our app), and it’ll be a constant struggle to get your congregation to engage with it regularly (most apps are only used once and then stored in a folder to never be used again). What happens? You’ve spent a lot of money on a tool that simply replicates what your website should be doing. 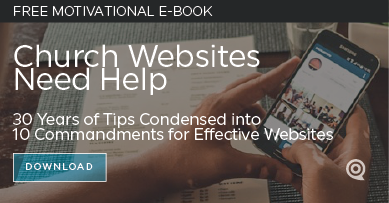 SOLUTION: Ensure your church has a trusted, responsive (mobile ready) website instead of an app. Everyone regularly uses websites to locate information on their built-in browser, so why struggle getting them to adopt another tool when your URL (that they already know) can deliver almost everything that they need? Geofencing and push notifications are perhaps the only reasons to have an app. But you’ll still need a solid website as a foundation, so spend the money on perfecting an amazing web experience before ever spending money on an app. Usually a good website is all you need.